An accident during rush hour Thursday morning near I-95 and Village Blvd has neighbors feeling uneasy about the current protection between where they live and I-95. "With the Australian Pines gone at least you'll be able to see what's going to kill you," said resident Ron Wise. 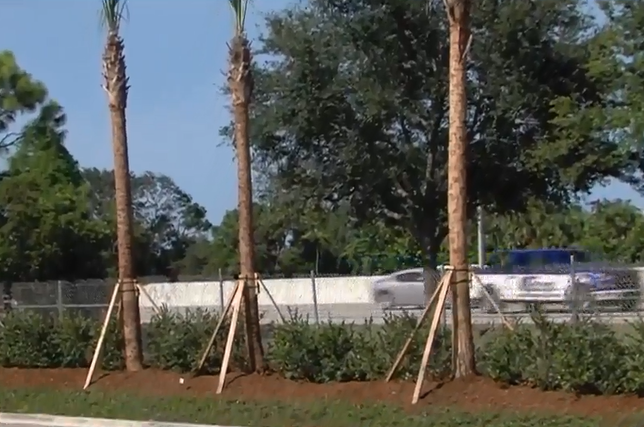 Earlier this year, the City of West Palm Beach removed all the non-native Australian Pines along Village Boulevard due to cost and maintenance and replaced them with palm trees. Neighbors said it’s now noisier and that the chain-link fence isn’t enough to shield them from an accident similar to what happened Thursday morning. “My understanding is plenty of people are concerned, it is a legitimate concern, the noise has escalated," said resident Bernadette Ramos. On Thursday morning, a car traveling southbound on I-95 managed to push through the chain-link fence and hit a car driving northbound on Village Blvd. "When I walked out this morning to see the accident I was like, 'wow what a good argument for the wall,'" said Ramos. 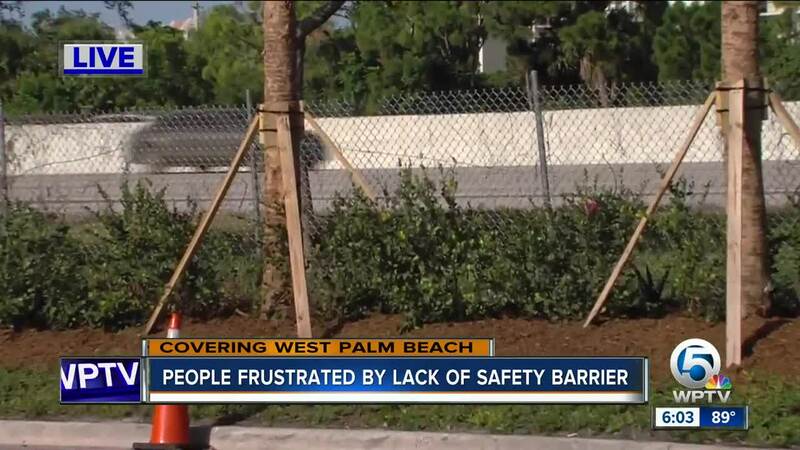 Wise said as the director or operation for the Villages of Palm Beach Lakes Property Owners Association he has made several calls to FDOT expressing his concerns. "They said, 'oh no we can’t do the sound barrier wall, we will put in a safety guardrail' and that hasn’t been done and then the road went from 6 lanes to 10 lanes and just look at this cars are going faster and faster it’s just a matter of time,” said Wise. NewsChannel 5 reached out to FDOT to find out what it takes to get a traffic study done. An FDOT spokesperson said several criteria must be met. “You know the volume of crashes, the types of crashes, we obviously would be looking at the road characteristics itself as well,” said FDOT Public Information Officer District 4 Barbara Kelleher. FDOT said it will look into this matter further after they receive the accident report from FHP.